The all new beta series of iOS 8.4 Firmware for iPhone, iPad, iPod Touch and Apple TV devices are just started by Apple for iOS developers and non-developers (general public users). The latest available iOS 8.4 Beta 1 (Build: 12H4074d) and Xcode 6.4 Beta 1 (Build: 6E7) has been officially seeded by Apple for testing and experimenting purpose. Apple iOS 8.4 is the upcoming version of iOS 8 Firmware, while Xcode 6.4 is the newest version of Xcode 6 Software series. The Direct Download Links of iOS 8.4 Beta IPSW and Xcode 6.4 Beta DMG Files for iPad Air 2 6G, iPad Air 5G, iPad 4G, iPad Mini, iPad Mini 2, iPad Mini 3, iPad 3G, iPad 2G, iPhone 6 Plus, iPhone 6, iPhone 5S, iPhone 5C, iPhone 5, iPhone 4S, iPod Touch 5G and Apple TV 3G are available. 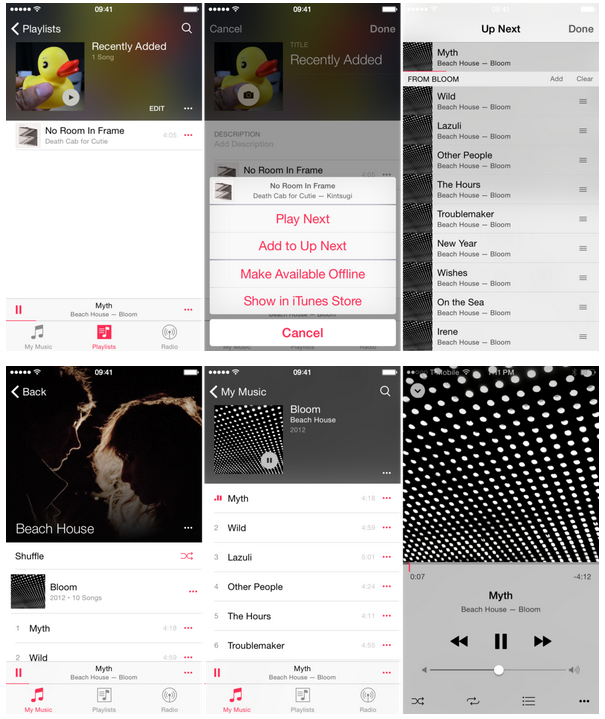 According to iOS 8.4 Beta 1 (12H4074d) release notes, Apple has brought the all new revamped Music Application (just like Photo App), moved Audiobooks from Music App to iBooks App, introduced dedicated standalone Audiobooks App and CarPlay App, Bugs fixes, performance, stability, security improvements and enhancements etc. Full changes of functionalities can be read in below image! According to Xcode 6.4 Beta 1 (6E7) release notes, Xcode developer toolset for Mac, iPhone, iPad and Apple Watch now support iOS 8.4 Beta SDK and OS X v10.10 Yosemite. 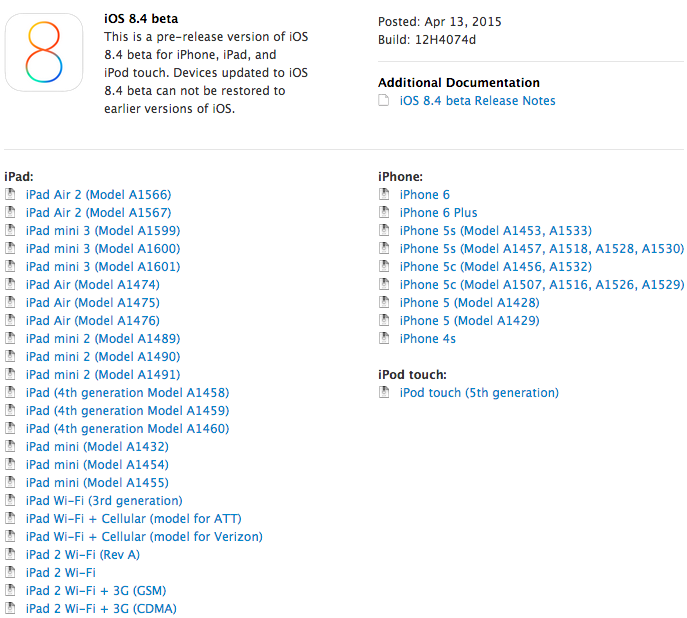 How to Install iOS 8.4 Beta and Xcode 6.4 Beta Updates? To get official iOS 8.4 Beta OTA Updates (Over-the-Air), Apple iDevice users can go to Settings > General > Software Update option. 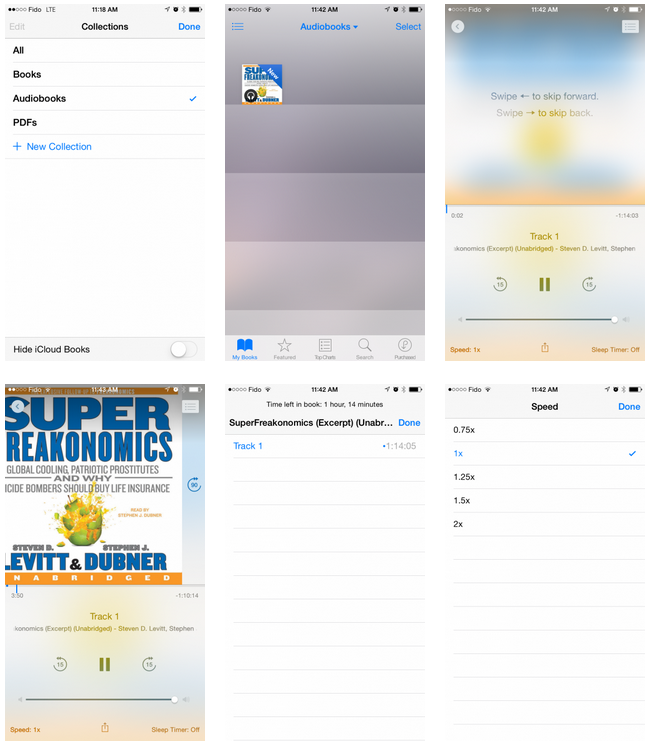 Apple iOS developers can visit iOS Dev Center website for official iOS 8.4 Beta Downloads, and iOS non-developers can manually install and activate iOS 8.4 Beta without UDID developer account via iTunes for Free. You just need to Download iOS 8.4 Beta .IPSW Firmware Files for iPhone 6 Plus, iPhone 6, iPhone 5S, iPhone 5C, iPhone 5, iPhone 4S, iPod Touch 5G, iPad Air 2 6G, iPad Air 5G, iPad 4G, iPad Mini, iPad Mini 2, iPad Mini 3, iPad 3G, iPad 2G and Apple TV 3G via Direct Links below. 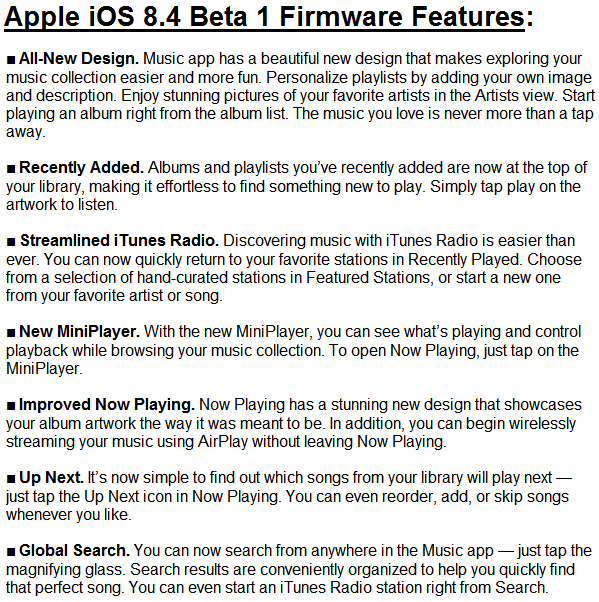 How to Jailbreak iOS 8.4 Beta Firmware? There's no official Untethered iOS 8.4 Beta Jailbreak support available by any TaiG, PanGu and 25-PP Jailbreak Tools.